Israeli premierBenjamin Netanyahu said that he refuses any settlement agreement with the Palestinian side that does not meet the needs of Israel and ensure the protection of its national security. "Israel will not accept any peace agreement that does not meet its needs and threatens its security, even if some have tried to impose it." 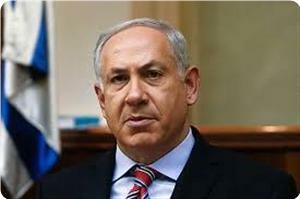 Netanyahu said in an interview with the Hebrew radio on Friday. 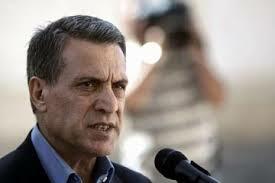 He also stressed that he did not promise the US President Barack Obama to freeze settlement construction. 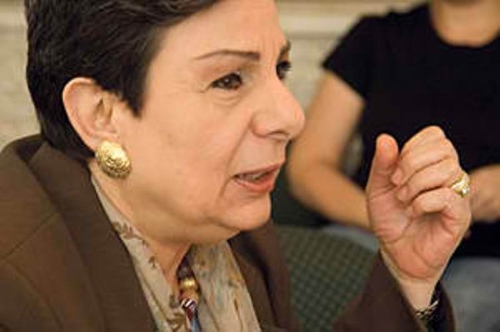 PLO Executive Committee Member Dr. Hanan Ashrawi stressed on the essential role of Britain and of Europe in exercising a corrective influence on negotiations, bringing Israel to compliance, and putting an end to Israeli intransigence and violations. Ashrawi's statements came during her meeting with the newly appointed British Consul General, Dr. Alastair McPhail, at the PLO Headquarters in Ramallah. Ashrawi welcomed the Consul General to Palestine and said, "Both the Israeli and American governments must come to terms with the requirements for peace and justice, and understand that the key to genuine security is the realization of Palestinian rights, not the perpetuation of Israel's illegal system of colonization and ethnic cleansing." During the political briefing with Dr. McPhail, Dr. Ashrawi discussed the ongoing negotiations, Israeli violations on the ground, British-Palestinian relations, and issues of mutual cooperation. A Jordanian anti-normalization group expressed its deep concern over news reports talking about the readiness of some Arab and Palestinian regimes to recognize Israel as a Jewish state. The higher executive committee for homeland protection and anti-normalization stated on Thursday that recognizing Israel as a Jewish state means waiving the right of return and threatening the Palestinian Arabs' presence on their occupied territory. The committee warned that everyone giving up the Palestinian people's national rights and holy sites would be held accountable by the Muslim nation and its future generations. It saluted the Jordanian parliament for voting to expel the Israeli ambassador in Amman and recall his Jordanian counterpart in the occupied city of Tel Aviv, and for preparing a bill abolishing the Jordanian peace treaty with the Israeli occupation. It said that theses parliamentary verdicts responded to the pulse of the Jordanian street and called for turning them from words into action. "Any reluctance to execute these decisions is considered a betrayal of the Jordanian people who have welcomed them and of the Palestinian people who stand alone in defense of the [Muslim] nation's holy sites," the higher anti-normalization committee underscored. 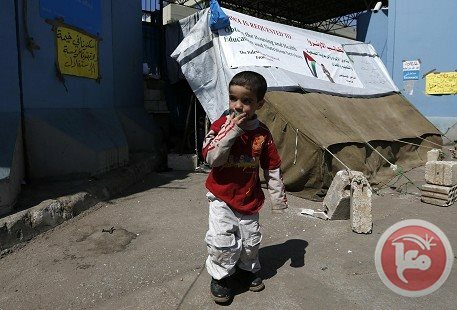 Fatah central committee member Mohammad Ishtayyeh said on Thursday that the Palestinian Authority had attempted to negotiate the return of Palestinian refugees from Syria, but Israel had refused. Ishtayyeh said in a meeting with diplomats organized by the Heinrich Böll Foundation in Ramallah that the PA had tried with all its might to "end the suffering" of Palestinians in Syria through international mediation. 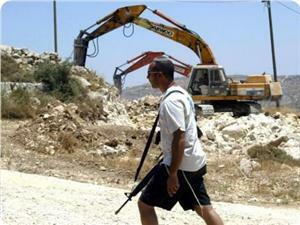 Israeli officials, however, had refused to allow them to come to the Palestinian territories. At least 1,500 Palestinians have been killed in the ongoing Syria conflict, and around 250,000 Palestinian refugees have been forced to leave their homes in Syria due to violence in the country. Prior to the conflict, 600,000 Palestinian refugees lived in Syria. Palestinian lawmaker Naser Abdul-Jawwad said that the weakness of the Muslim Nation does not justify any move by the Palestinian Authority to give up any part of Jerusalem, stressing that the holy city is the essence of the conflict in the region. "The concessions made by the PA and its current talk about Jerusalem is non-binding for the Palestinian people and the Muslim Nation. 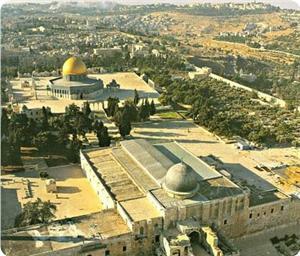 I am confident that the Palestinian people, the future generations and the Nation in general will not accept any compromise on any part of Jerusalem city, which is the first Qiblah and the third holy Mosque in Islam," MP Abdul-Jawwad stated in a statement to Quds Press. The lawmaker revealed that the PA has intentions to waive most of Jerusalem and accept only parts of it as the capital of the future Palestinian state. "The sovereignty over Jerusalem belongs to the whole Islamic Nation. When the Palestinian people voted overwhelmingly in the 2006 elections in favor of the Hamas Movement's platform, they responded practically to the farce of negotiations over Jerusalem," he underlined. For his part, Palestinian lawmaker Basem Al-Za'arir said that the Israeli occupation would never find a better opportunity to further Judaize Jerusalem and impose a fait accompli than the one provided now by the PA.
MP Za'arir told Quds Press that the PA's rejection of any popular moves against Israel's measures in Jerusalem and its protection of the settlers' security, in addition to its persistence in the peace talks provide cover for the occupation's violations in Jerusalem and help it to complete its Judaization plans. The Bureau of the Committee on the Exercise of the Inalienable Rights of the Palestinian People expressed concern over the recent developments and increased tensions in Occupied East Jerusalem, especially the increasing incursions by Israeli extremists and political leaders, including Government officials, on the Al Aqsa Mosque compound, which provoke the Palestinians and other Muslim worshippers. The committee said in a statement issued Wednesday that the most dangerous development is that the Knesset recently began a debate on a bill to impose "Israeli sovereignty" over Al-Haram Al-Sharif. The committee stated that such actions with regard to this highly sensitive area provoke the Palestinians and may also be perceived as serious acts of incitement in the wider region. Moreover, these actions undermine the current negotiations process, threatening the prospects for peace. The committee added, 'These recent actions are indicative of a strategy aimed at altering the legal, demographic, physical and cultural character of East Jerusalem. Such actions are clearly prohibited under international law. House demolitions, evictions, land expropriation and the revocation of residency rights of Palestinian Jerusalemites are also on the increase. In 2013, 565 structures were demolished in East Jerusalem, displacing 298 Palestinians, including many women and children. The committee said that Israel also continues to construct settlements in East Jerusalem, in violation of international law and in defiance of the international community's repeated calls for ending such illegal acts. 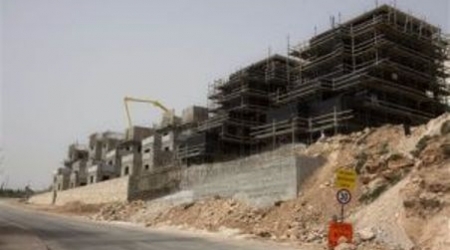 Since the resumption of peace talks last July, Israel announced construction plans for more than 5,000 new settlement units in Palestinian neighborhoods in the city. The committee pointed out that the question of East Jerusalem is a crucial permanent status issue. A sovereign, contiguous and viable State of Palestine, with East Jerusalem as its capital and with arrangements for the holy sites acceptable to all, is a core requirement for the achievement of a just and lasting peace. The Bureau of the Committee calls on the Security Council to act without delay to address these alarming developments, which are in defiance of the Council's resolutions, including 252 (1968), 267 (1969), 271 (1969), 298 (1971), 476 (1980), 478 (1980), 672 (1990) and 1073 (1996). The Bureau also calls on the Security Council to continue monitoring violations of the aforementioned resolutions and to act accordingly for their implementation. The Committee confirmed that it will continue to carry out its mandated work until the question of Palestine is resolved in all its aspects. It calls on the international community to do its utmost to make 2014, the International Year of Solidarity with the Palestinian People, a decisive year in achieving the freedom and national rights of the Palestinian people and a peaceful solution to the conflict in all its aspects. The Palestinian government in Gaza has warned that the US Secretary of State John Kerry’s plan aims at liquidating the Palestine cause. Taher Al-Nunu, the media advisor to the Gaza government, said in a statement on his Facebook page on Wednesday that Kerry’s plan was more than just a plan similar to Oslo agreement. He charged that the plan aimed at imposing an agreement that would end the option of resistance and liberation. 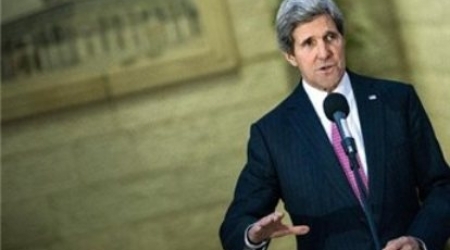 “This is why we say very clearly that Kerry’s plan will not succeed,” Nunu underlined. Palestinian Presidency spokesperson, Nabil Abu Rodeina, stated that the speech of Israeli Prime Minister Benjamin Netanyahu at the AIPAC conference did not carry anything new, and proves Netanyahu is just wasting time. Abu Rodeina said Netanyahu keeps demanding the Palestinians to recognize Israel as a Jewish State, adding that this demand, as well as Israel’s numerous demands, are only meant to avoid holding serious peace talks that could lead to a compressive and just peace deal. The Palestinian official added that Palestinian negotiators will never abandon the legitimate Palestinian rights and national interests. 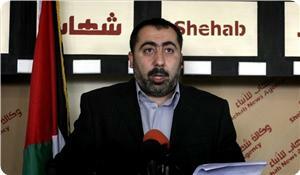 On his part, Palestinian official Nabil Shaath of the Fateh Party of President Mahmoud Abbas, said Netanyahu’s speech is an official Israeli declaration unilaterally ending peace talks with the Palestinians. Shaath said Netanyahu has declared his rejection of all principles of peace in the Middle East, and that the Israeli leader voided all basis of final status talks agreed upon by the United States, mainly a just solution to the Palestinian refugee’s Right of Return, settlements, and all final status issues such as borders and natural resources. “Netanyahu declared he does not want an international force in the West Bank, he wants his army there”, Shaath added. “He wants us to recognize Israel as a Jewish State, he wants to void our rights, and wants to continue to build illegitimate settlements”. 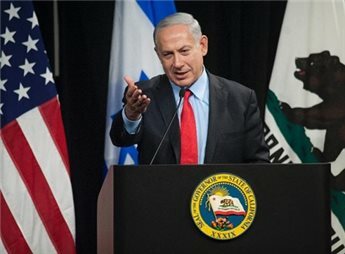 During his speech at the American Israeli Public Affairs Committee in Washington, on Tuesday, Netanyahu demanded President Mahmoud Abbas to recognize Israel as a Jewish State, and to “ask the Palestinians to give up their Right of Return”, describing it as an illusion. Israel refuses to recognize the internationally guaranteed Right of Return of millions of Palestinian refugees, living in various refugee camps in the occupied territories and various Arab countries, and facing very difficult conditions. It also insists on what it calls its right to build and expand its illegitimate settlements in the occupied West Bank and occupied Jerusalem, in direct violation of International Law and the Fourth Geneva Convention. Consecutive Israeli governments, including the current government, reject any talks on borders and natural resources, and insist on Israeli control over all West Bank borders, the Jordan Valley, and all vital areas in the occupied West Bank. 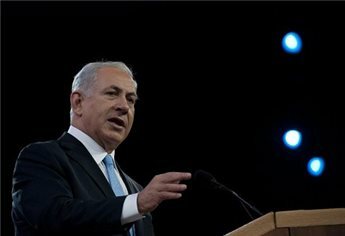 Israeli Prime Minister Benjamin Netanyahu, on Tuesday, directly urged Palestinian president Mahmoud Abbas to recognize Israel as a "Jewish state" and to "abandon the fantasy" of "flooding" Israel with refugees. But his remarks sparked a furious reaction from the Palestinians who denounced his demand and said it had effectively put the final nail in the coffin of the US-led peace talks. The latest spat threw a harsh spotlight on the yawning divide between the two sides, and the task faced by US Secretary of State John Kerry who is trying to get them to agree a framework for extending direct peace talks beyond an April 29 deadline. Addressing delegates at the annual policy conference of AIPAC, Netanyahu said he was prepared to make an "historic peace," but not without a Palestinian acceptance of Israel as a "Jewish state." "It's time the Palestinians stopped denying history," he said, returning to a major point of disagreement in peace talks, which have struggled to make headway in the last seven months. "President Abbas: recognize the Jewish state and in doing so, you would be telling your people ... to abandon the fantasy of flooding Israel with refugees," he said. Netanyahu insists that only when the Palestinians acknowledge Israel as a "Jewish state" will the conflict be finally over. 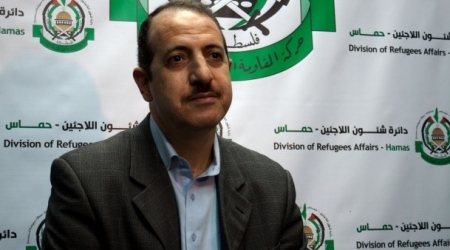 Hamas’s Department of Refugee Affairs welcomed the calls to launch a global campaign to defend the Palestinian refugees’ right of return to their homes. 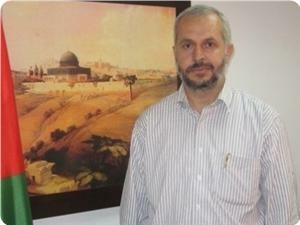 London-based Quds Press website reported previously that, Salman Abu Sitta, a Palestinian researcher and Founder of Palestine Land Society has called for the launch of a global Palestinian campaign with the slogan of "He Who Gives Up Right of Return Does Not Represent Us". Head of the department Issam Odwan said on Tuesday in a statement that “it is necessary to give a greater publicity to this campaign across the world, particularly as the right of return is undergoing a fierce attack that threatens the fate of Palestinian refugees in Diaspora". New York Times columnist Thomas Friedman revealed on Tuesday, January 28, in a column titled "Why Kerry Is Scary" details of what he believes will be included in the proposal. He wrote "It will call for the Palestinians to have a capital in Arab east Jerusalem and for Palestinians to recognize Israel as the nation state of the Jewish people. 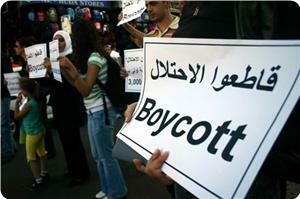 It will not include any right of return for Palestinian refugees into Israel proper." Some 800,000 Palestinians were expelled from their homes inside Israel during the 1948 conflict that led to the creation of the State of “Israel”, and today their descendants number around five million, spread across the world. 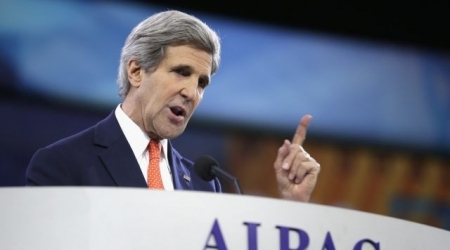 "Israel's security is our first priority," U.S. Secretary of State John Kerry said at the annual AIPAC conference in Washington D.C., Haaretz.com reported. As for the current faltering so-called peace talks between Israel and the Palestinian Authority, Kerry said both Israelis and the Palestinians are faced with tough choices. He noted that he believes Israeli occupation prime minister Netanyahu is "committed" to peace, and that PA President Abbas "understands the costs of failure." Israel's unilateral withdrawals from Lebanon and from Gaza prove the need to negotiate peace, he said and vowed that the U.S. "will not let the West Bank turn into another Gaza." Kerry reiterated the Netanyahu's demand for Palestinians to recognize 'Israel' as nation-state for the Jewish people, but said that any peace agreement "must also guarantee Israel's nature as a Jewish state." Kerry also assured crowd at the conference of the pro-Israel lobby that the U.S. will counter any attempts to boycott Israel. American Israel Public Action Committee (AIPAC) - known in Washington as The Lobby- was created in the 1950s. AIPAC's power has historically stemmed from two major sources: Domestically, from the influential and organised Jewish communities - all 49 leaders of major Jewish organization have seats on AIPAC’s executive committee; and internationally, it stems from Israel's regional utility to the United States in the context of the oil-rich Middle East and Cold War rivalry. Al Jazeera English contributed to this report. 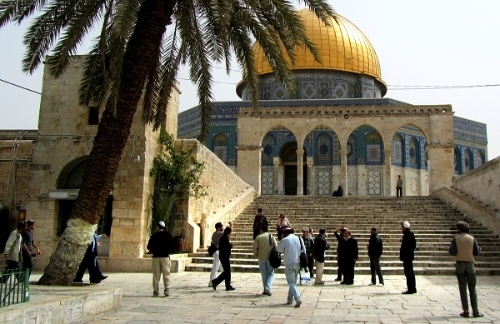 Director of the Aqsa Mosque's affairs Najeh Bakirat said the Israeli occupation regime started lately to harvest five decades of its occupation and Judaization of Jerusalem, taking advantage of the current peace talks with the Palestinian Authority. "The negotiations, which the Palestinian Authority insists on, provide cover for the execution of the occupation's plans in the holy city," Bakirat stated in press remarks to Quds Press. He said that the occupation unprecedentedly escalated its demographic warfare of attrition against the Palestinian natives of Jerusalem in order to replace them with Jewish settlers and declared an all-out war on the Islamic holy sites. 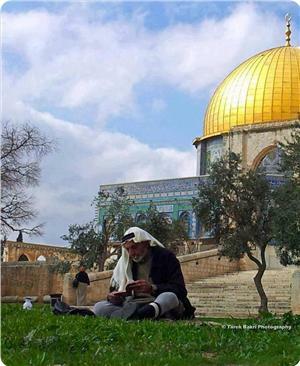 The director of the Aqsa Mosque called on the Palestinian Authority to end its negotiations with the Israeli occupation, stressing that it is unreasonable to give the occupation more time to take its schemes farther in Jerusalem. Kerry explained, It is incumbent on both sides to take tough decisions, pointing out, the success of any Israeli-Palestinian agreement is based on many factors including: security, mutual recognition, agreeing on a final solution for the Palestinian refugees but without changing the Jewish nature of Israel and announcing the end of the conflict. By referring to the Occupied Jerusalem, he said, it is in need for a solution that enables it to continue being a city of peace. Kerry stressed the Israeli PM Benyamin Netanyahu’s commitment to peace and that Palestinian President Mahmoud Abbas is intended to be a partner in the agreement but he has his own views towards any “equitable agreement” . “ Abbas is aware of the price of the failure of the peace talks,” Kerry added. Israelis and Palestinians have been engaged in seven months of direct peace talks which are due to expire at the end of April. Israeli occupation PM Benyamin Netanyahu visited Washington on Monday to meet with U.S president Barak Obama to discuss the peace talks and Iran issue. During the talks with Netanyahu, Obama said that Israel needs to make some tough decisions in order to find peace with the Palestinians.